Along with Germany, Australia has been one of the Western world's greatest video game censors. When considering the a game to represent their industry, I was tempted to pick L.A. Noire--a title infamous for the working conditions and "crunch time" that publisher Rockstar Games imposed on Sydney developer Team Bondi, leading to the studio's demise despite their game's critical and commercial success. 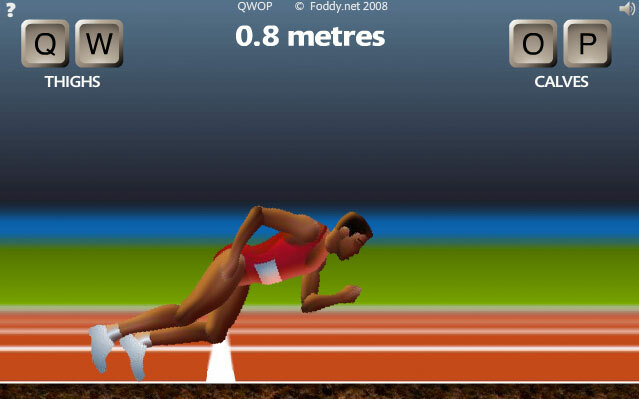 No, I had to go with QWOP. Its creator Bennett Foddy (former bassist of Cut Copy) now lives in the UK as a professor at Oxford. He teaches things totally unrelated to games. But in his spare time, he's a pioneer of anti-gaming: games specifically meant to anger the player. If you still haven't played the international sensation QWOP, you need to play it now. It's a commentary on the quest for realism in game design. Players must control each of the main character's thighs and calves individually to run in the Olympics, and... it's incredibly frustrating. Foddy is showing us we don't really want true realism in our games. We don't want a game about running in the Olympics to be as difficult as actually running in the Olympics. We want games to be simplified approximations of real life that are easy to do and fun. He shows us the limitations of the conventions of the medium. Maybe our quest for "fun" is pointless after all.